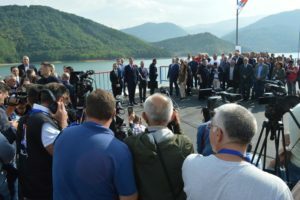 Brnjak border crossing, the newly-built Ecology Center on Lake Gazivode and the Red Cross, the Gazivode dam, Ibarsko Postenje village in the Leposavic municipality, the Agricultural School in Lesak, a Business Forum in Leposavic, a meeting with Srpska Lista in Zvecan – the places Serbian President Aleksandar Vucic visited on his first-day tour of the north of Kosovo. The visit has passed as per the itinerary. 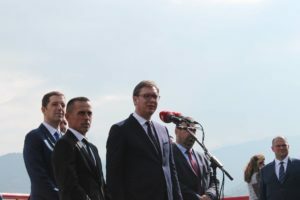 Vucic arrived in the north of Kosovo accompanied by the Minister of Health, Zlatibor Loncar, the head of the Security Intelligence Agency Bratislav Gasic, the head of the Kosovo Office, Marko Djuric, and other leading people of this office. He was greeted by the members of the kickboxing club Kosovska Mitrovica and a Prva TV journalist who posed the question: Do you know how much people rejoice to see you here? A large number of journalist teams were also present – around 270 accreditations from 47 editorial offices. At the newly constructed large building that rises above Gazivode Lake – the „Ecology Center“, €1.4 million has already been invested. Serbia has already invested 127.900 dinars and will pay an additional €12 million for the lake infrastructure. Vucic will build a Trepca battery factory with jobs 300 workers at a cost of €13 million. However, he also announced the construction of this factory in 2016, when he visited Kosovo as, at the time, the Serbian Prime Minister. A tractor will arrive in 14 days to the village of Ibarsko Postenje. A boarding school for the Agricultural School in Lesak will be built, while 6 km of the village road will be paved. 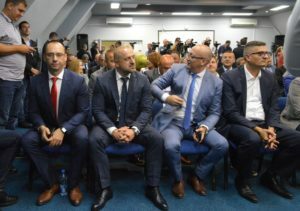 A sports hall and IT Academy will be built in North Mitrovica, including the returnee settlement „Sun Valley“, where 225-300 housing units were supposed to be built back in 2016. Minister of Agriculture, Forestry and Water Management Branislav Nedimovic said that the ministry provided 200 million dinars of aid to farmers in Kosovo. 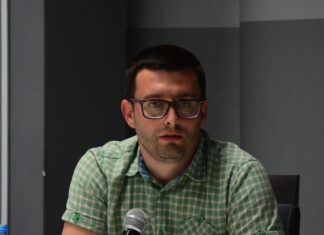 Of that amount, 110 million dinars were allocated for planting material and 90 million dinars for mechanization, Nedimovic said at a Business Forum in Leposavic. Serbian President Aleksandar Vucic arrived, as it was announced, at the conclusion of a Business Forum in Leposavic. He reiterated that Serbia will invest in the development of the municipality and his promises on investing in the development of Zubin Potok, but Vucic also revealed here in Leposavic that he will invest in all other Serb-majority municipalities. 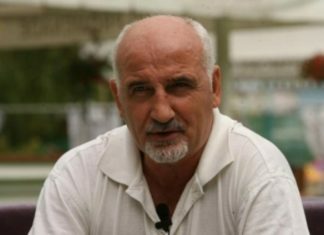 “Without Gazivode there is no survival of the people in Ibarski Kolasin and Zubin Potok. For Serbia, Gazivode Lake is of crucial importance, but Gazivode is important both for Serbs and the Albanians. The severity of the problems we face and the difficulty of political struggle is best seen in Gazivode. 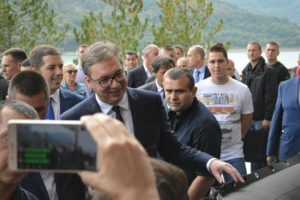 Through the depth of Gazivode you can see the difficulty and depth of all our disputes and disagreements,” Vucic said. 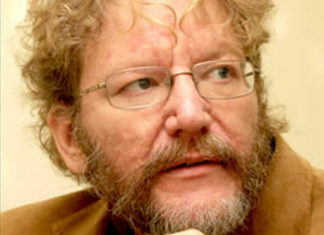 He claims that he was not in contact with any U.S. representatives regarding his tour of Gazivode. „They sent me messages, but I do not respond to messages. I do not like to respond to messages,“ he said, and told the journalist who asked the question that he sees that „you Croats are interested in everything“ and that “the main star is there“. Vucic has a deep respect for the mediator in the dialogue, the High Representative Federica Mogherini and her team. „They would like to achieve something great. What everyone would like to prevent in different ways and if I were to ask all of you here, maybe there would not be two people who would not want any kind of agreement to be made, everyone else would not like it out of different reasons. So, I understand, I congratulate her on her enormous energy, efforts, and I do not think we are close to any agreement,“ he said. I told her, Federica, you know I’m going to Kosovo, and you know that I’m going to Gazivode. 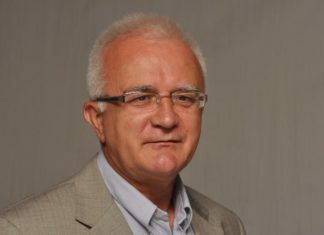 Serbia is far from a solution which should „save the face of Belgrade and Pristina“ because of the mutually remote positions, the distant attitudes of one part of the international community. I want it to be written in history that we wanted an agreement with the Albanians. „I have seen a lot of heroes who would give their lives for Kosovo, and who would not live a day in Kosovo. On the other hand, we have many who would say, we have long lost Kosovo, acknowledge that independence, and recognize it, Vucic. There are a few good people among the public, reasonable Serbs who know the reality well. Nor is it all ours, nor is it all theirs,“ Vucic said. „First of all, I do not think we have the possibility to implement my ideas. You heard what Angela Merkel said, you heard what the Albanians think, you heard what many Serbs who enjoyed in their love (affair) with Adem Demaci, Hashim Thaci and many others think. 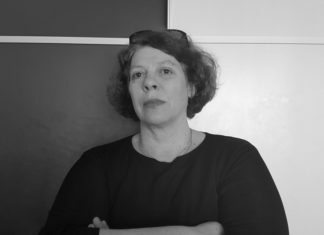 And they suddenly do not like it when someone comes out and says what is real, what is the truth … And what is my idea – I’m not a private person to unveil it whenever, since I noticed that they are putting (words) I have never said into my mouth. I am the President of Serbia and I am doing what is possible, what is real, serious, responsible and good for our people. In accordance with it, I will continue to talk and always obtain the most of what is possible for our people so that we lose the least of what we have to. How will this fare in the future, there is a long way ahead of us, many, many thorns and many problems,“ the President said. Lesak was a territorial unit of central Serbia until 1959. 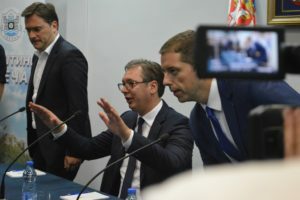 „I am impressed that Srpska List, despite all the stories and efforts to create a discord in the Srpska List, managed to survive and remain united and that you managed to respond well to everyone,” Vucic said in Zvecan. “What I have endured, I can imagine how difficult it is for you to endure this,” he added. Aleksandar Vucic criticized those who are presented to the public as Serbian representatives and who, according to the President of the Republic, „do not represent anybody“. 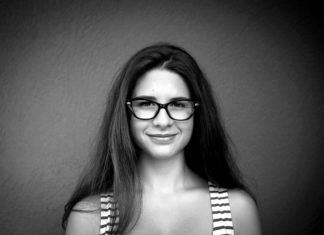 „You can pull three of their teeth and they still would not tell you that Kosovo is an integral part of Serbia. It’s hard for them, it’s unnatural for them,“ said the President last night, following a previous statement on the hammer-pounding.